This well-known quote describes the most effective method of teaching students. If you let children play football or basketball, they discover cooperation. By paying them for simple jobs, children discover the real value of money. But how can you show and explain concepts related to computing? For example, what is an algorithm? How does a computer count or an autonomous car find its way? To explore these ideas, you could introduce complex mathematics or physics formulas. That would, however, be quite boring, too complicated for young students, and have nothing in common with either doing or understanding. 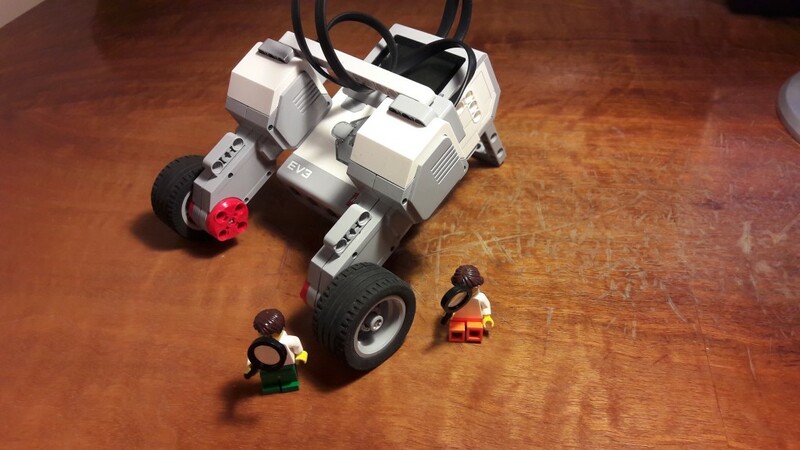 In this series, I will describe a few simple ideas for robotics lessons that can be good fun for students and allow them to understand concepts such as what an algorithm is and how a computer counts. The first lesson is always a big challenge for both teacher and students. Topics should be like an intriguing trailer. They should unveil the secret but you don’t want to put someone off by complicating the subject. We’ve got to remember that it is a first lesson so the challenge should be adapted to the students’ skills. The challenge I give my students is to follow a track without touching a box that is in front of the robots. The box is in the same position each time. Firstly, we set the aim of challenge and all participants share ideas about how to reach the goal. During this brainstorming period, there aren’t bad ideas. The students are now ready to create their first construction. 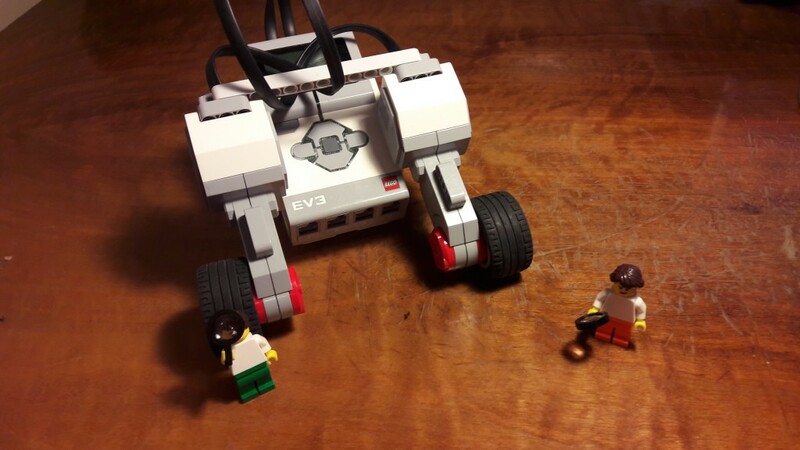 I recommend creating a robot that has two independent non-steering motors, on each side of vehicle. Later I explain why this solution works best. Nevertheless it is usually amusing challenge for students who make their first steps in building and programming robots. Students generally use LEGO pieces intuitively, however mistakes happen. That’s a crucial part of the learning process. I approve it and always give some time to correct their mistakes as long as kids treat it like a challenge. If I recognize that an issue is too hard for them to solve, I try to give some hints and tips. The images throughout this post show some examples of constructions created during our activities. When all vehicles are ready, it’s time to program our first robot. Obviously we need to figure out what a program is and explain that computer language is different from how we speak. Students are generally open-minded, so our small talk often turns into creating an algorithm to solve the problem and reach the goal. I like this challenge because it keeps all students focused on the same task despite diversity of how they see the problem. Those who finish fast can develop new practical functions. For instance, programming their robot to come back to the starting zone. At the end of our lesson we make time for a short discussion. It is a continuation of our brainstorm from the beginning of the class. By this time, we are much more experienced, able to correct mistakes, and share smart solutions and observations with each other. I am aware that the first impression is that this challenge isn’t very complex, however students who didn’t have any experience before find it a big challenge. Programming instructions are rather obvious nevertheless knowledge about how steering works on simple robot. At last but not at least it is great fun and I hope it provokes students’ enthusiasm for future challenges. Αναρτήθηκε από ak.Mak στις 11:03 π.μ.